While your engine and transmission provide the motive power to move your vehicle down the road, they’re useless without tires and wheels. Wheels attach to your vehicle’s hubs and provide both style and a mounting location for your tires. Your vehicle’s wheels and tires are very important aspects, and you need to know a few things about them. Let’s start the discussion with wheels. Whether you’ve damaged a wheel by hitting a curb, being in an accident or hitting a piece of road debris, it’s important that you replace it with an exact match. Work with a Weston, Florida, repair center that can provide you with a new wheel identical to your other three. 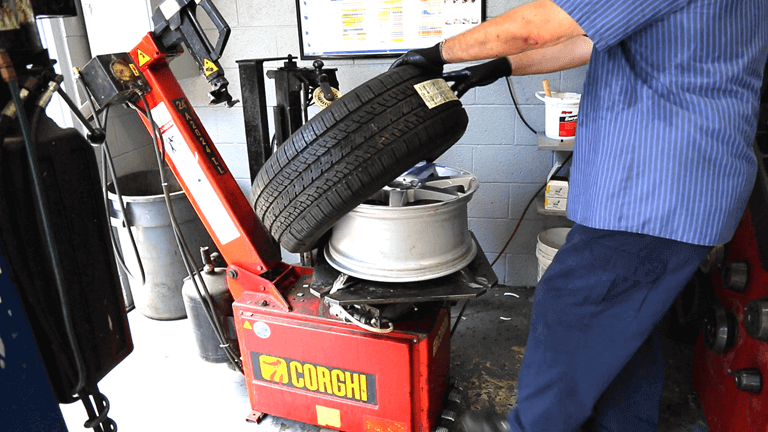 When it comes to tires, there are several important considerations for maintenance. Rotating and balancing your tires periodically is vital for longevity and maintaining even tread wear across all four tires. If you don’t rotate your tires, those on the drive wheels will begin to wear out much more quickly than the other two. You’ll also encounter problems with cupping or scalloping. You should rotate your tires with every other oil change, or roughly every 6,000 miles. They should be balanced when necessary. This is largely personal preference, but you should follow the recommendations of your mechanic. Balancing ensures a smooth, comfortable ride by eliminating unwanted vibrations. Another important topic in maintaining your tires and wheels is to check your tire pressure regularly. Most mechanics recommend checking once per week or once every other week. Make sure the PSI is set to the OEM specified rating found in your driver side door placard, not the maximum PSI rating on the sidewall of the tire. Be aware that over inflation and under inflation will have serious impacts on tire longevity.